This morning's nrc.next reports that Environment Minister Jacqueline Cramer is up in arms about yet another mistake made by the Intergovernmental Panel on Climate Change. 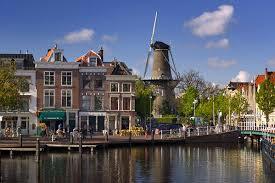 Its report says that 55 percent of the Netherlands is under sea level, but the figure should be just 26 percent. The government's own number-crunchers have told the minister that the IPCC made the mistake by simply adding the 29 percent of the country which is at risk of flooding by major rivers. Ms Cramer is deeply unhappy about the blunder: "I frame policy in the light of science," she explains. "Trust in science and politics has taken a knock". However, she is still convinced that "the climate is changing, the earth is warming up and it is probably being caused by man". The incorrect figures which date back to 2007 were revealed on Wednesday by weekly Vrij Nederland. The Dutch Living Environment Planning Agency told reporters that the UN's Intergovernmental Panel on Climate Change (IPCC) added two figures supplied by the agency: the area of the Netherlands which is below sea-level and the area which is susceptible to flooding. In fact, these areas overlap, so the figures should not have been combined to produce the 55 percent quoted by the IPCC. If the environment minister frames her policy "in the light of science," why did it take her three years to spot this huge and obvious error? Perhaps her feigned indignation is more politics than policy. The major industrialised area, which includes Amsterdam, Rotterdam, The Hague and Utrecht, is home to three million people and produces two-thirds of the country's gross domestic product. And, much of the area is metres below sea-level. Its 59 local authorities have now put together a joint action plan to deal with a flooding disaster. In a related article, the paper points out that, despite these stark facts, the average Dutch resident is not all that bothered about global warming. On a list of people's top worries, climate change comes in tenth at best. Emphasis mine. The Dutch are getting wise to the climate change hoax. Americans are too. Is Tehran deliberately inviting an air strike? Charlie Crist leaving the GOP? CPAC blogger of the year: Ed Morrissey!!!! Evan Bayh's Zell Miller moment? Update: Armey does not endorse John McCain? Is Adam Andrzejewski the next Scott Brown?